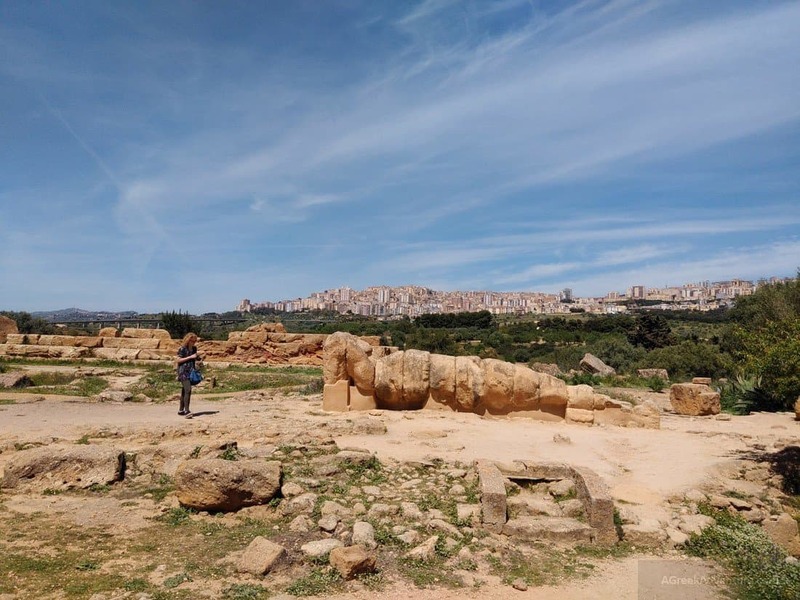 Agrigento was another destination in Sicily, Italy we loved. The reason? It’s name comes from the Greek word “Akragantas” and all the temples in its archaeological site relate to Greek heroes and deities. It is a Unesco World Heritage site. We didn’t have the time to visit the city, as the main focus was in the archaeology part, and the reason people flock here. 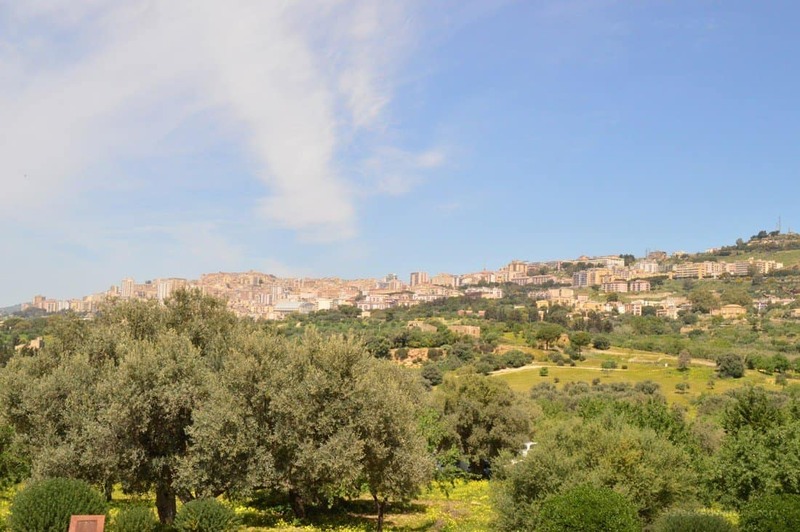 The city of Agrigento is beautifully situated at the top of a hill, overlooking all the ancient sites (Valley of the Temples). The entrance to the “garden” of different sites is from the top of the hill. That is really handy as going downhill is preferable on a sunny day with high temperatures. 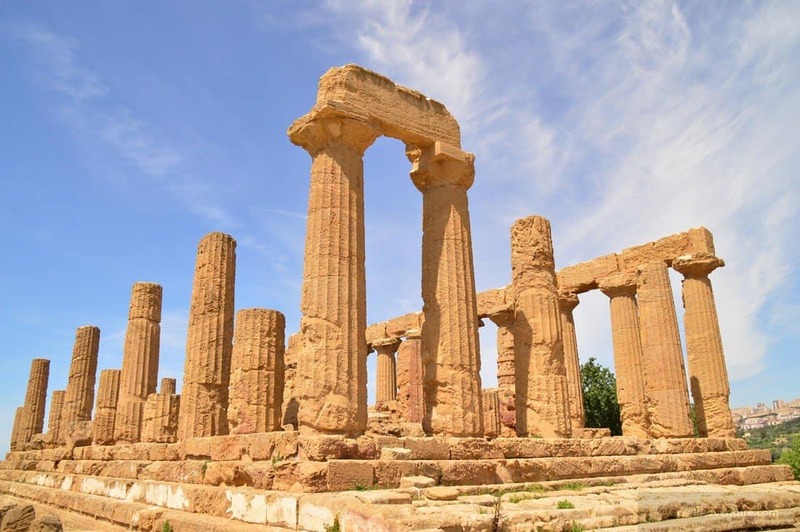 It is best to have a guide with you or do some homework, to get familiar with the things you see in Agrigento valley of the temples. 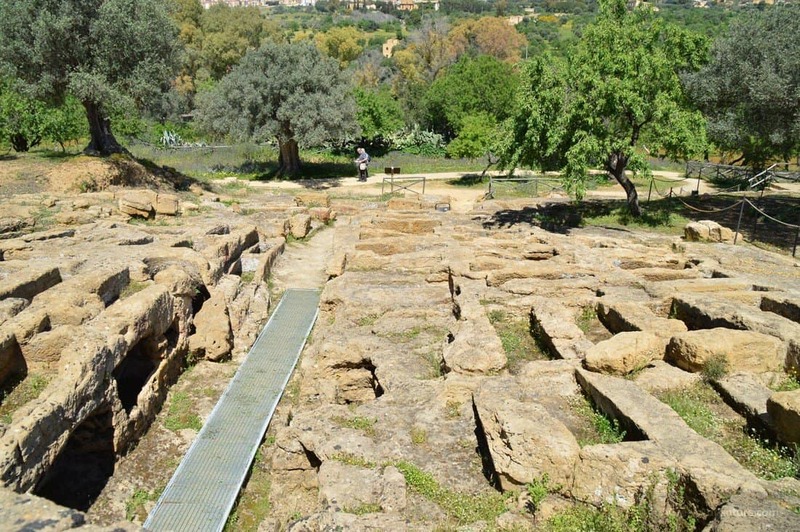 This archaeological park hosts 8 temples (built between 510 BC & 430 BC). 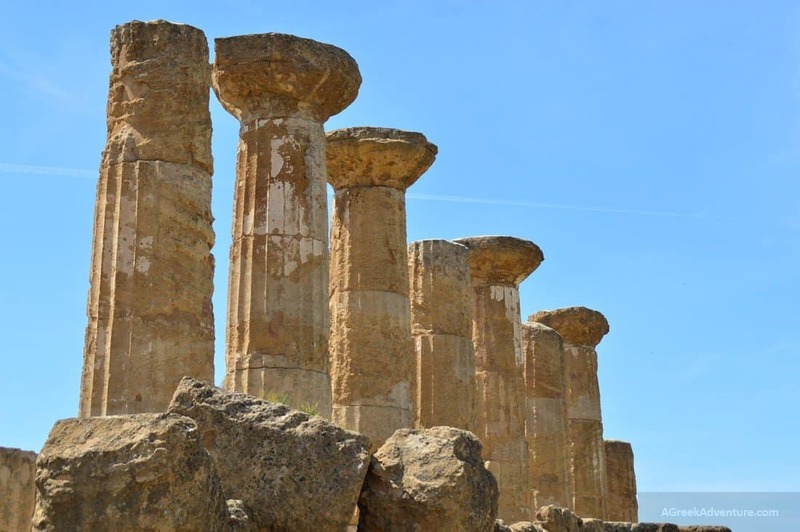 These are: the Temple of Hera, the Temple of Concordia, the Temple of Hephaestos, the Temple of Demeter, the Temple of Heracles, the Temple of Olympian Zeus, the Temple of Castor and Pollux, and the Temple of Asclepius. 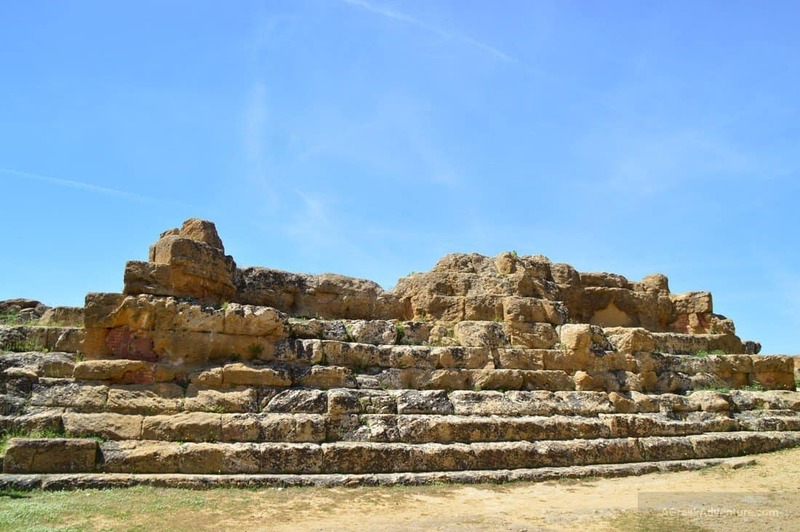 One of the first things you will visit is this Temple, or temple of Juno Lacinia. It is nicely preserved and dominates the area. 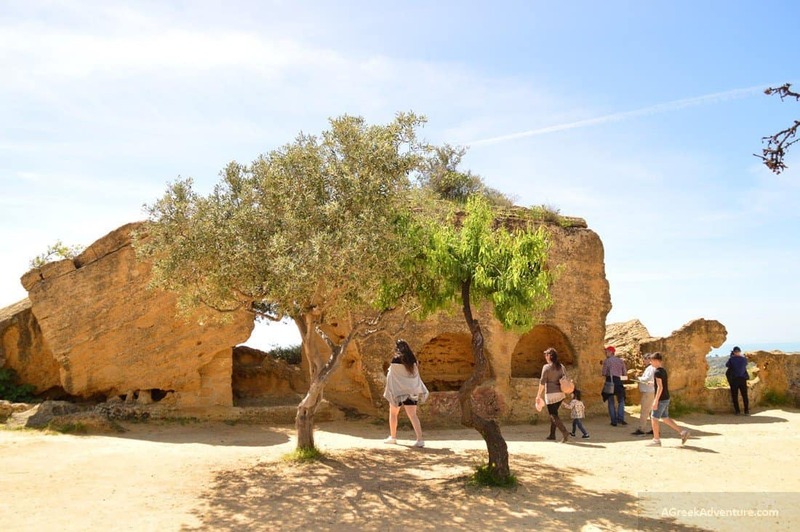 As you walk down the main pathway to more temples and archaeological sites, you will notice the walls that were part of the fortification scheme. These walls had different usage during the ages. They were protection walls, but they shifted to tombs. That is the reason you can see those rounded small caves insides the walls. Different tomb settings will be also found during your walk. The best preserved temple of this area, is this one. The temple has gone through different changes during the ages. Most recent one is its transformation to a Christian church at some point, where the temple was divided into 3 rooms (according to a church structure). You will see them if you just walk by its side. Just before you reach the temple you will pass from this villa. 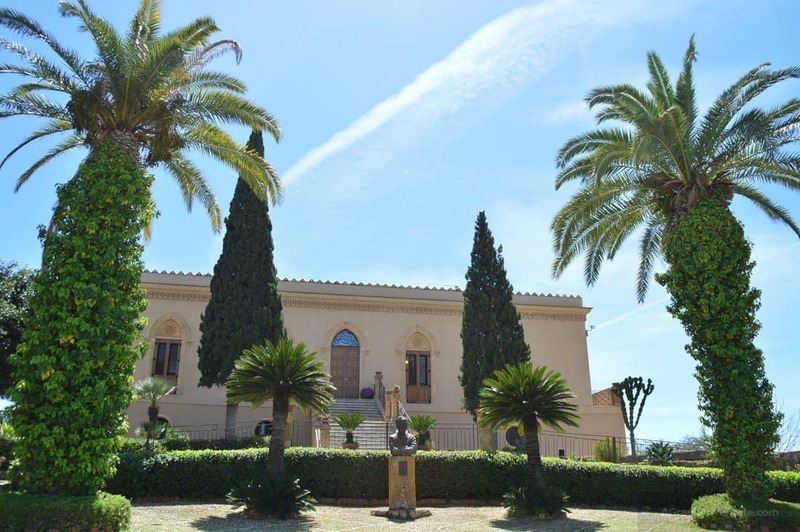 The villa belonged to a passionate with archaeology person. He bought the villa and did many excavations. He actually restored the temple up to some point, since the columns you see were not like that, but scattered around in pieces. Few elements from the temple still remain, with the statue of a Telamon guard being the most impressive one. 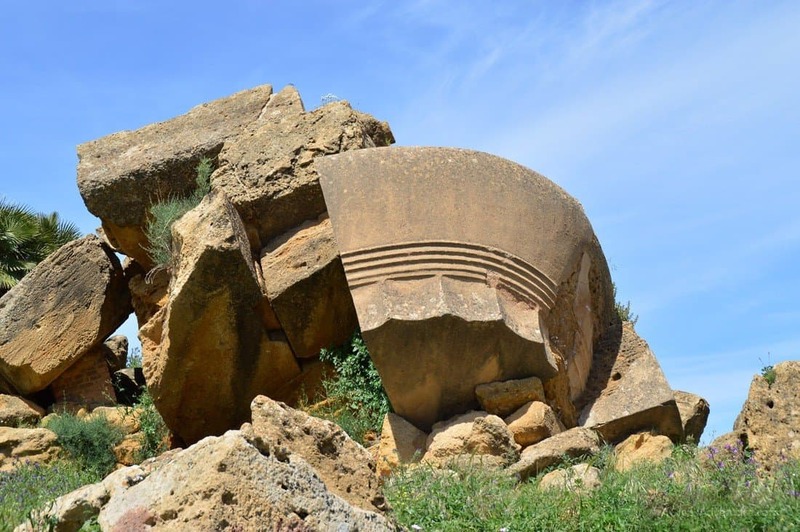 The Telamon statues were huge and were used in the temple structure (front side). See the size analogy below. However, this statue of Telamon is not the original one but a copy. The original is kept under controlled environment conditions in the museum. 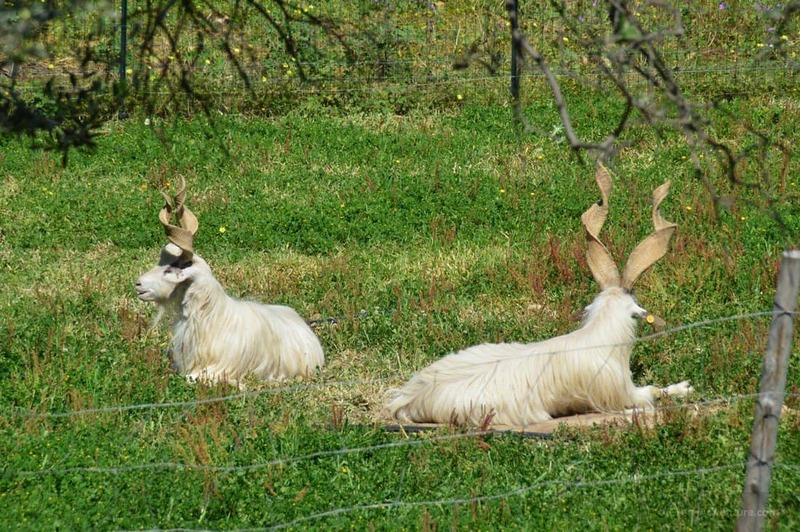 Now that is a unique set of horns, right? This species is a unique one and only exists here in Agrigento and is called Girgentana. It’s origins are unknown, yet scattered information claims they may come from Afghanistan. It is a protected species and its main characteristic is these twisting horns you see. 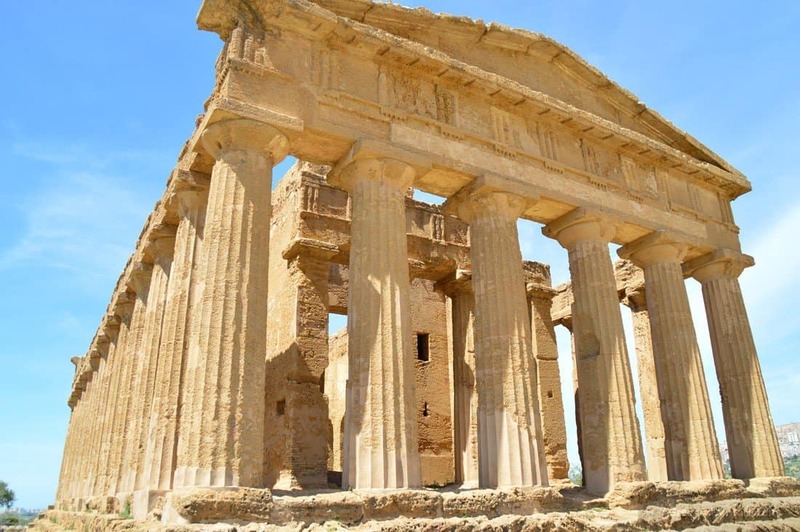 Pretty cool things to do and see in the Unesco World Heritage site of Agrigento, right? You will learn a lot for this place, which by the way was part of the historical “Magna Crecia” (means Greater Greece). 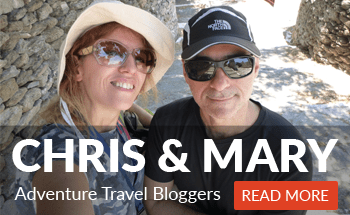 Check our post for Cefalu too.